We have sort of got into a bit of a routine with our weekends. Husband will take the kids out in the morning to the park or for a scoot while I test recipes and work on my blog. When I first made these delicious Apple Oat Cookies the family arrived home to these still warm from the oven, the house fragrant with apple and spice, and they proceeded to enjoy all of the delicious cookies in a single sitting. I may have had two or three. For official work purposes obviously. I know why they adored these so much. They are absolutely bursting with flavour – every mouthful has bits of apple and cinnamon. They are truly a taste sensation. But I think the best thing about these cookies is that they are sweetened only with fruit. 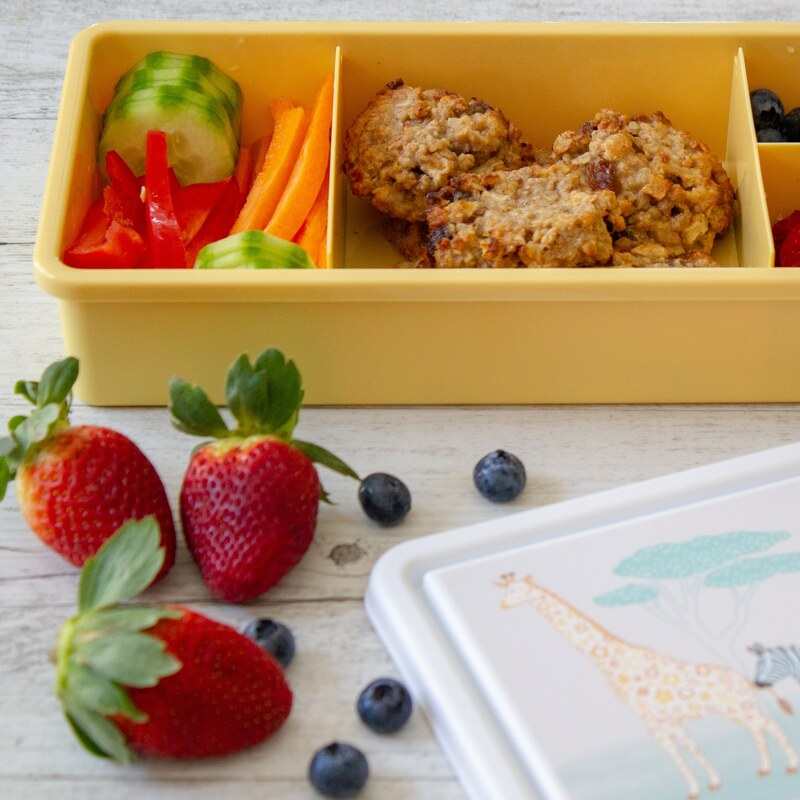 So these Apple Oat Cookies really are a perfect addition to the lunchbox. 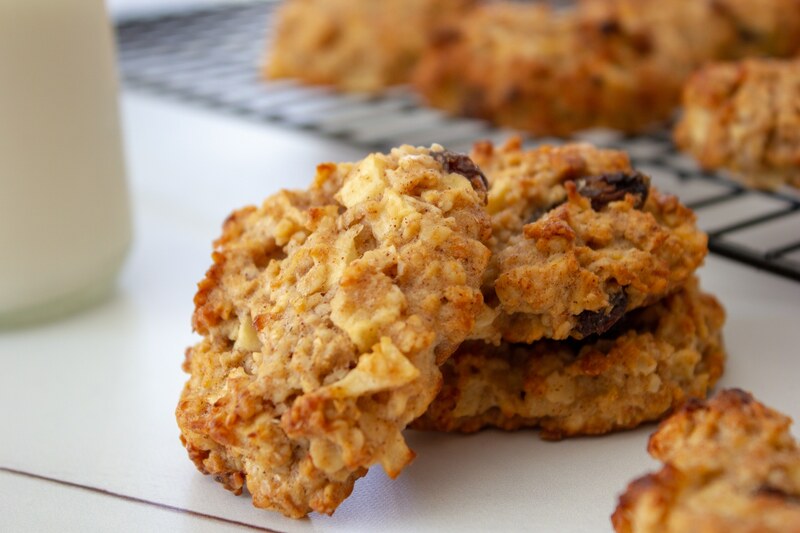 Have you tried Apple Oat Cookies that have no added sugar before? 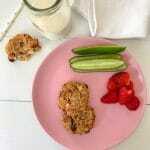 If not you will love the switch to these Apple Oat Cookies. Don’t think that these cookies are tasteless. Na-ah there is so much flavour in these cookies. And there are is A LOT of fruit in these cookies. Banana, apple and sultanas sweeten these delightful cookies and, honestly, I just could not get enough. 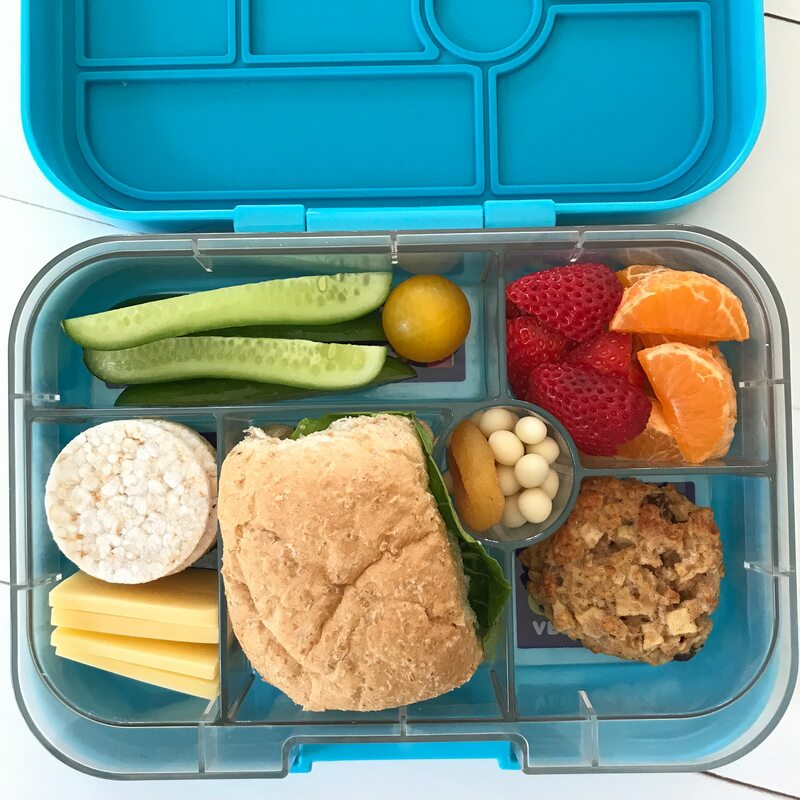 And I can’t wait to get these into school lunches this week! 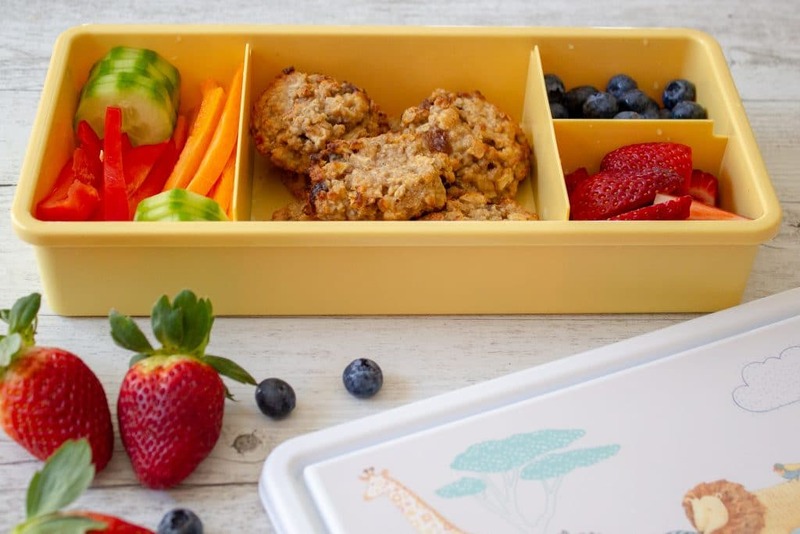 Want other kid friendly cookies for school lunches? Check out my Carrot Oat Cookies. Or are you looking for more apple based recipes? Try these amazing allergy friendly Apple Cinnamon Muffins. 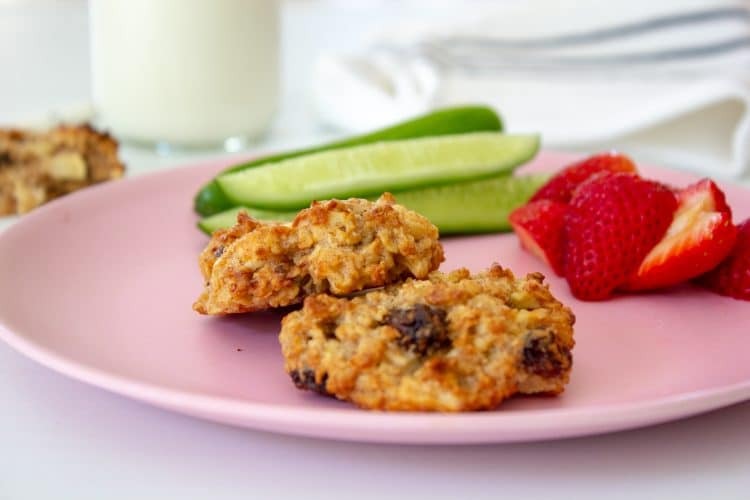 These delicious Apple Oat Cookies have no added sugar and are sweetened only with fruit, they are deliciously wholesome and totally kid approved. These Apple Oat Cookies are nut and dairy free and they are fantastic for school lunches. They are also great for baby led weaning (9 months plus) as they are soft and full of goodness. Soaking the sultanas will help them stay plump and moist while baking. The following nutrition information is an estimate only calculated from an online calculator for food bloggers. As always, if you make these come get social with me. Take a pic and tag me in on Instagram or Facebook. Also if you would be so kind as to rate these Apple Oat Cookies here on my blog if you do bake them, I would really appreciate it! I made these with my 6yr old yesterday. We made a double batch for a couple of reasons 1) so we have plenty for lunchboxes and 2) my son is learning fractions and this is the best way for him to understand it. It is funny how he struggles to answer 1/2 + 1/2 on paper but when doubling a recipe he has no problem! Anyway, they were delicious and I’m very happy we made the double batch! Thanks for baking Amy! I love that idea about using baking to understand fractions and will definitely use this idea to help my 6 year old too! These sound lovely! Do you know if they will work with regular porridge oats? These are fantastic! Just whipped them up with my 3 year old and they’re perfect for my 11 month old to snack on or even have for breakfast since she’s teething and refusing the spoon. Looking forward to trying more of your recipes! Hi Bernadette, just made these cookies. Super simple and super healthy! I added some dates as well. They are delicious but are they supposed to be soft or have I not cooked them long enough 🤔. 20 25 mins cos I forgot about them. Oops. Didn’t burn them. They look great! Hi, can you use regular olive oil or regular virgin olive oil? These look delicious! I’d love to try them but would need to exclude the egg as my son is on a dairy free (egg included) diet! Would you have a recommendation for a substitute for the egg? Can you use applesauce I stead of the diced apple? For how long can i store them in the freezer?